Ray Hannigan was featured in an NPR story that aired on the radio show “All Things Considered,” during which he recounted how he faced off against and then later represented Donald Trump in the legal battle for control of the Empire State Building in the 1990s and early 2000s. Hannigan represented Japanese billionaire Hideki Yokoi in suing his daughter Kiiko Nakahara, her husband and Trump, asserting that the group had improperly taken over ownership and control of the Empire State Building, among other properties. 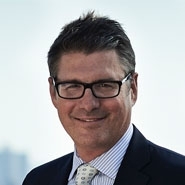 Hannigan and the Herrick team settled the case after years of litigation and then represented the Trump Organization in the 2002 sale of the Empire State Building to a group led by Peter Malkin. The sale united ownership of the skyscraper’s fee estate and leasehold estate with the same group for the first time since 1961.